WIP Wednesday Back in Business! 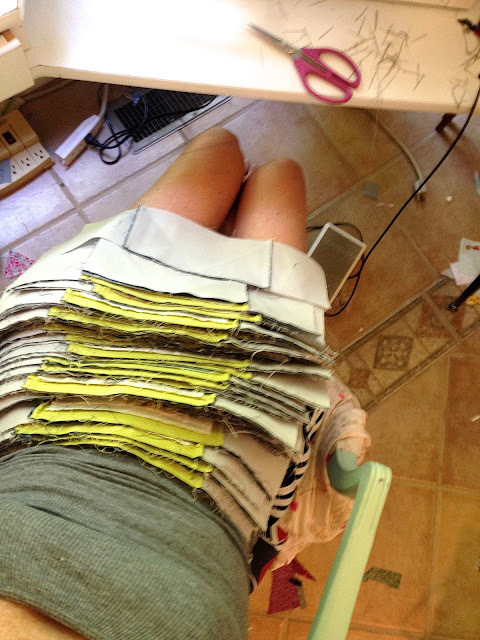 Time to get back to regular sewing! For the past couple weeks I have been focusing on that kind of sewing that really cannot be shared. It is difficult to beiin the throws of "secret sewing" and still maintain other sewing at the same time. This is true especially during the Summer months when kids are home and need to be fed, entertained and fed some more! Growing kids eat so much! I was able to finish up the Secret Sewing on Tuesday ( happy dance) and today was ready to jump back into a regular routine ( minus the feedings of the children) of sewing! First on the agenda was dragging out my Economy Blocks to start adding to them again! So very pretty! They are all fussy cut Heather Ross or Munki Munki center and Liberty of London frames. The colors are gorgeous. I have been very pleased with the way that all of the prints are working together to create a one of a kind look that is very busy but does not appear to be crazy! For my paper piecing I used Aurifil 50wt thread. The 50wt is thin to keep your blocks flat and super strong for durable stitches. You can find out more about my Economy Block adventure and the link to the free pattern here. I grabbed my Aurifil Block of the Month Blocks and finished cutting the corner stones and sashing to continue with my Quilt As You Go using Maureen Cracknell's tutorial. 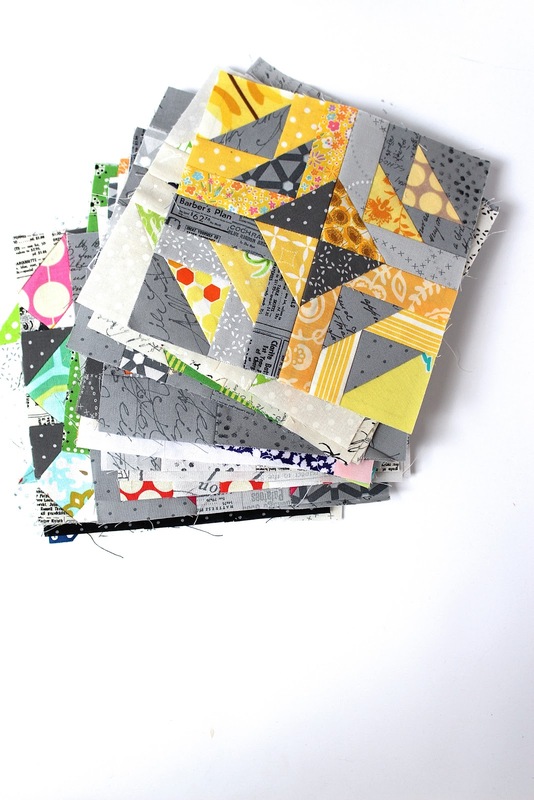 Also, my blocks for The Splendid Sampler have been neglected! I will be catching up ion the next few days and will be posting photos of some of my colorful creations! This is the pile I was under on Saturday! It weighed a ton when it was all complete! It was a JOY to do but I am looking forward to being back to regular sewing! Lastly, this is what my kids surprised me with for my birthday! I have never had such a GORGEOUSLY decorated birthday EVER!! I was stunned! They thought of everything and even gave me a card that made me cry. I also celebrated my birthday with a FABULOUS Giveaway! If you have not entered to win, be sure to visit Monday Motivation for your chance to win an amazing prize package! 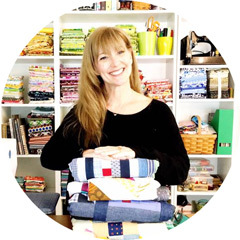 Hoping your sewing week has been productive! I am up to 20 economy blocks & 30 more cut out ready to see. They are fun! Oh that cotton candy stand, I just love it. Where can I find it?